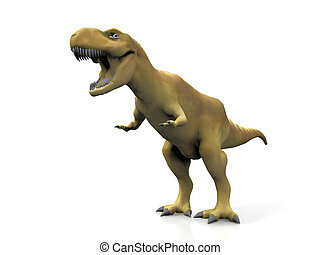 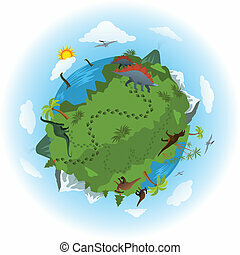 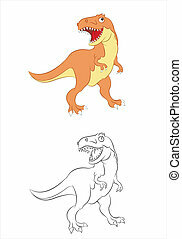 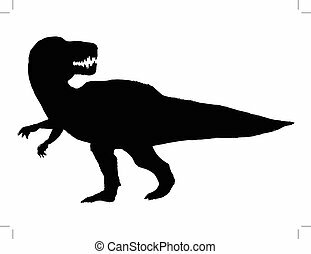 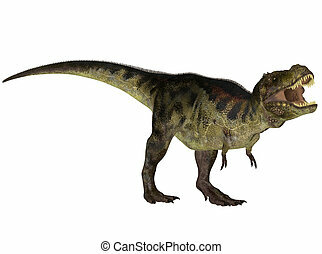 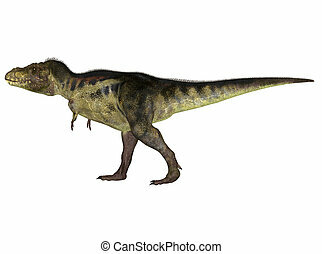 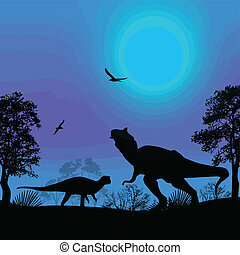 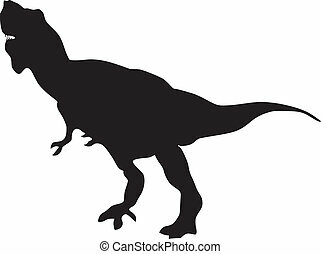 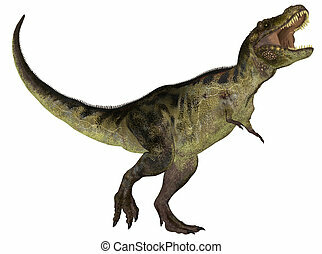 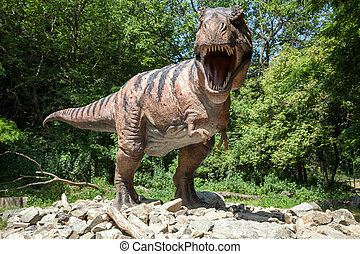 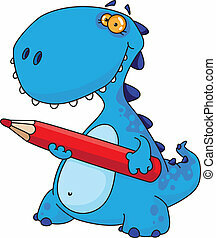 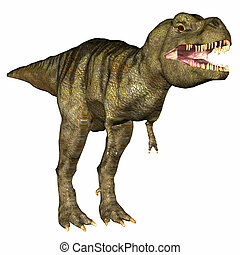 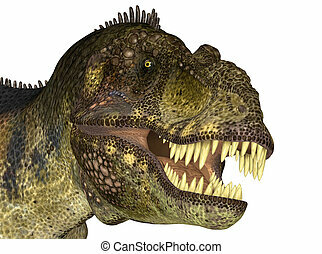 Illustration of a tyrannosaurus (dinosaur species) isolated on a white background. 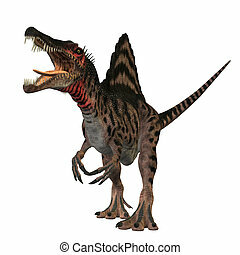 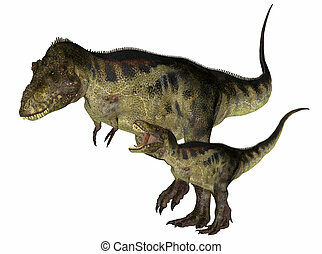 The Spinosaurus dinosaur was a huge carnivore of the Cretaceous Period of Earths history. 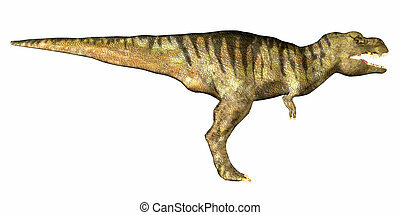 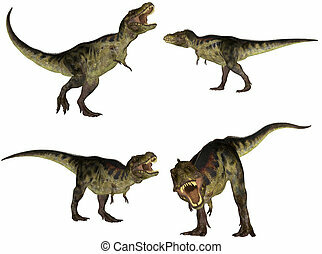 It was larger then Tyrannosaurus Rex and Giganotosaurus. 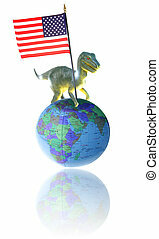 Its fossils have been found in North Africa. 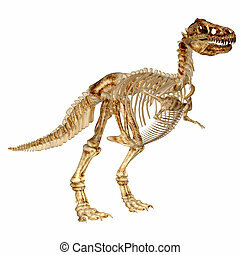 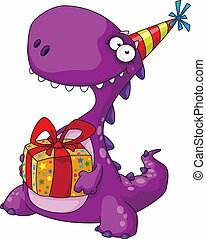 The only known fossils bones of this dinosaur were destroyed in the World War II bombing of the museum holding them. 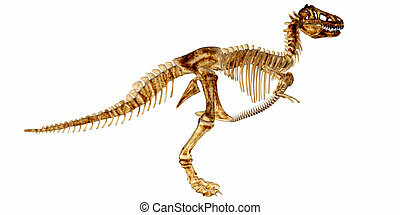 Just recently the slides of the original bones have been discovered. 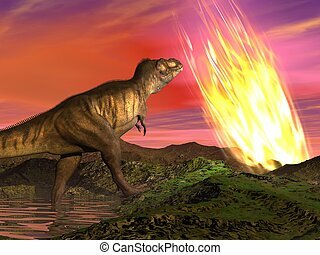 Since then other fossils have come to light. 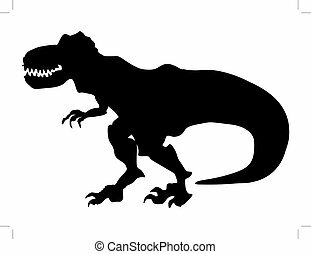 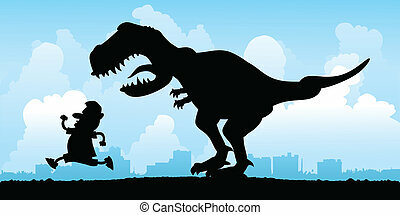 Cartoon silhouette of a man being chased by a vicious T Rex. 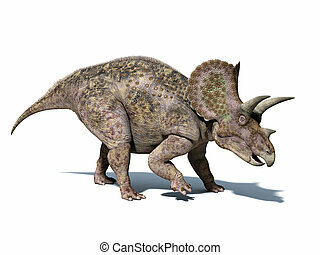 Triceratops dinosaur, very well detailed and scientifically correct. 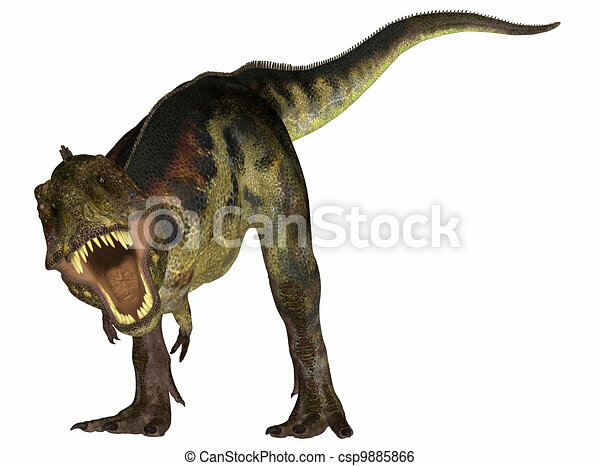 isolated on white background, with clipping path.